To learn more about the student demo experience, go here. 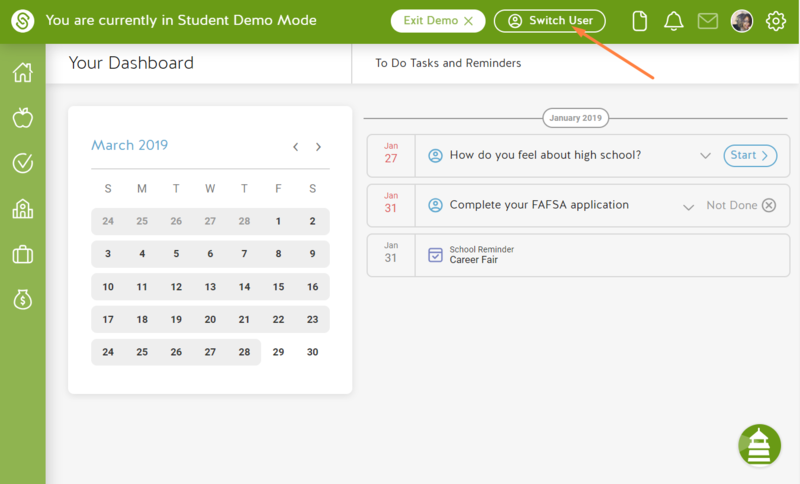 While in Student Demo Mode, click Switch User in the top navigation bar. Change the School, Grade or both and click Continue. 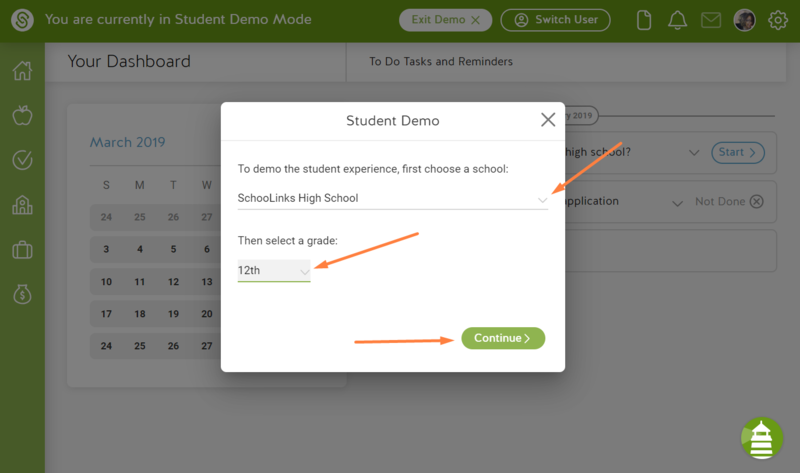 Click Start Student Demo Experience to enter demo mode as the new demo student.